Set in 17-century New England, Robert Eggers’ The Witch feels very much in tune with its bygone setting. The dialogue is strict and formal, the language of Puritans. The lighting is natural, many scenes lit only by the evening sun or feebly swaying candles. The terror that plagues the central family is religious in nature, and the film takes a refreshing look at the beliefs of colonial settlers. In the opening minutes, the family in question leaves their village after father William (Ralph Ineson) stands trial for his heretical views. Venturing far from civilization as they know it, the family sets up a farm on the edge of a dark and wild forest. At first, the family faces threats of a material nature: crop shortages and the like. When eldest daughter Thomasin (Anya Taylor-Joy) is watching newborn Samuel, an unseen force snatches him away, and the family must contend with the dark forces in the woods as well as their own fears of sin and damnation. Eggers is a master of form, composing each scene with careful attention to lighting and framing. The acting is superb, the cast deftly speaking dialogue that sounds almost like a foreign language to modern English speakers. Aesthetic virtues aside, The Witch is also a deeply unsettling film, one that slowly, fiendishly unleashes its horrors to get you into the Halloween mood. A slice-of-life comedy series from Issa Rae, inspired by her popular web series Awkward Black Girl, Insecure follows in the tradition of comedies like Louie and Master of None, which tend toward the naturalistic to find humor and sadness in everyday circumstances. The show focuses on two characters: Issa (Rae), who works for a non-profit that aims to help kids develop job skills, and Molly (Yvonne Orji), a corporate lawyer. The two friends contend with navigating their careers as well as their romantic lives. 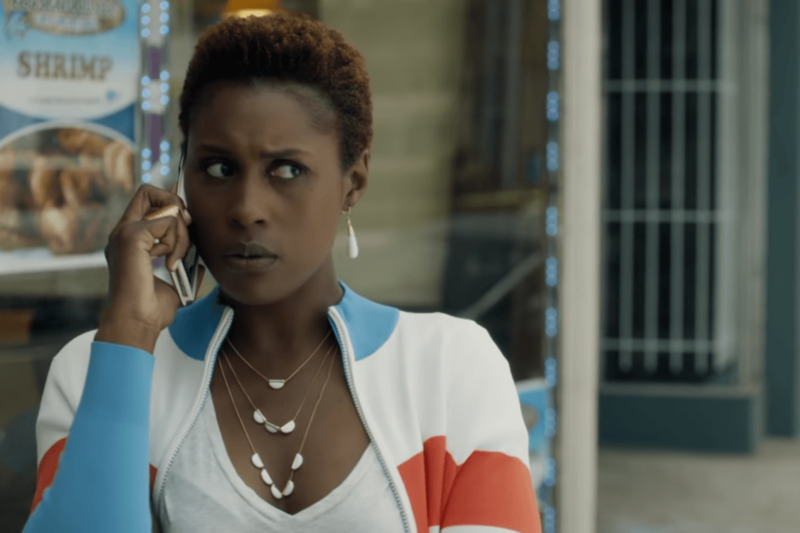 Insecure is foremost a comedy, and there is plenty of humor — the opening scene, in which Issa tries to connect with a class of snarky teens, is hilariously cruel. However, the show does not shy away from its characters’ struggles. It can be difficult to find meaningful work and relationships in the modern world, but as Insecure shows, there is plenty to laugh about along the way. Films have a tendency to portray high school as a battlefield, with sharply-defined cliques squaring off against each other and their teachers. Dazed and Confused offers a different, almost utopian vision, where jocks, stoners, artists, and nerds mingle, bonding and talking over beers and joints. The plot, such as it is, follows several groups of characters whose paths criss-cross throughout the last day of school. Aside from some hazing of incoming freshmen — a hallowed ritual, as they present it — and a drunken fist-fight near the end, there is little conflict in the movie. The kids come and go, spending most of their time talking and drinking. Director Richard Linklater has always tended toward naturalism in his films, and Dazed and Confused is one of the best examples of his style. Dialogue makes up the bulk of the film, and the characters speak in the casual, often meandering conversations one expects of teenagers. The finishing touch is the soundtrack; peppered with rock hits like Sweet Emotion and Slow Ride, it feels exactly like the type of mixtape a ’70s teen would make. The archetypal Western hero is a man slow to speak and quick to shoot, dispensing justice that the law cannot. The myth-making tends to cover up the fact the Wild West was loaded with shocking violence, and even the “good guys” had no compunction about killing. No actor is more familiar with the moral ambiguities of the gunslinger than Clint Eastwood, who starred in many of the great Westerns of the ‘60s and ‘70s, and that makes his performance in Unforgiven, which he also directed, all the more poignant. Eastwood plays William Munny, a former criminal who put down his whiskey and his gun to marry and raise a family. His wife now dead, and his farm failing, Munny accepts an offer by the Schofield Kid (Jaimz Woolvett) to claim a bounty on a pair of cowboys who disfigured a prostitute. He brings his old buddy Ned (Morgan Freeman) along for the ride. The bounty will not come easily, however. The cowboys are from the town of Big Whiskey, where Sheriff Little Bill Daggett (Gene Hackman) maintains law and order with a heavy hand. 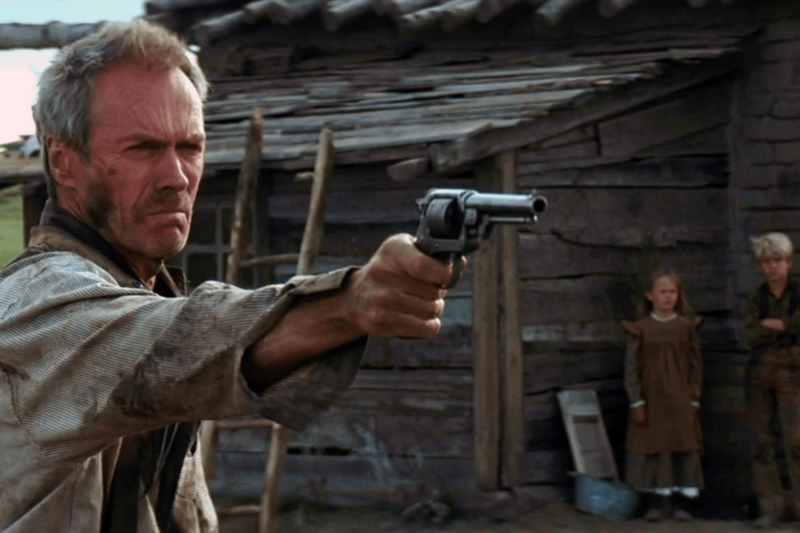 In many ways, Unforgiven tears down the romantic notions of the Western. The protagonists are former criminals out to collect blood money, the lawman a sadistic tyrant. Although the cast is swollen with memorable characters, Munny is the central figure, and his transformation over the course of the film is a marvel of acting, as he quietly repeats to others (but mostly to himself) that this is one last job, that he will not go back to his old ways. A new documentary from Ava DuVernay (director of Selma), 13th draws its name from the Thirteenth Amendment to the U.S. Constitution, which prohibits slavery or involuntary servitude “except as a punishment for crime whereof the party shall have been duly convicted.” The film’s thesis is that society has exploited this loophole to perpetuate oppression of black Americans, feeding them into the prison system for minor offenses. 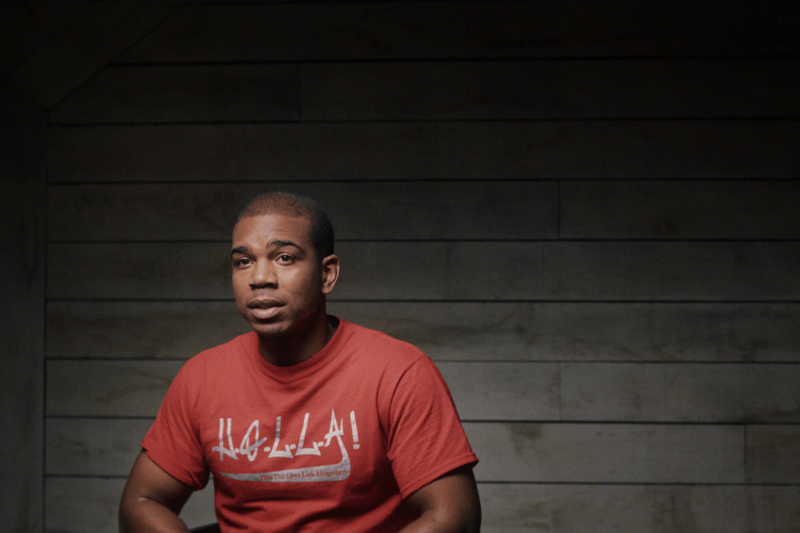 The documentary takes a long view, moving from Reconstruction and the rise of the Ku Klax Klan up to the present day, interspersing clips and photos with interviews. Among the guests are writers, academics, and activists like Jelani Cobb and Michelle Alexander. 13th moves at a rapid pace, dispensing information without pause, occasionally bordering on overload. The film connects a lot of dots, not all of which are equally sturdy, but the film does present a startlingly detailed picture of a system that profits off dehumanization. The atmosphere and attitudes the film examines are frightening. In particular, snippets from a Donald Trump rally where protesters were violently expelled, juxtaposed with similar scenes from protests in the civil rights era, makes it apparent that, in many ways, America has not come as far as we like to believe.